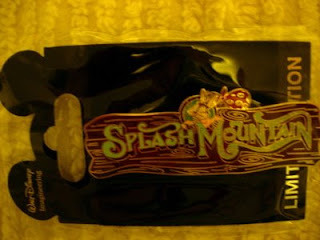 This is a limited edition, special Splash Mountain pin from Walt Disney Imagineering. It has Brer Rabbit on it. This pin is an exact replica of the signs above the Splash Mountain entrances at Disneyland and Walt Disney World.